One of the best things that my beading life has taught me is to follow the question, "What if...?" with a decisive action. The creative process is one that sometimes asks us to be still and pay attention, but often it asks us to move forward -- take an unexpected next step, even if we don't know what that may be. The trick seems to be, for me, staying open to the "what if." So many times my brain (the left side of it, I am sure) wants to put a kibosh on the matter and come up with a few good reasons (all at once sometimes!) why that next step WON'T work. One of the reasons it does this, is that often I have invested lots of time (or materials) into my project and have gotten so far, that a whole new idea might just mess that up! What if I have to start over? My li'l left brain is just trying to protect me from failure, and what IT deems to be waste. I realized after a while that I was probably missing out on some big fun by stopping myself. Geez, it's just time.. it's just beads. 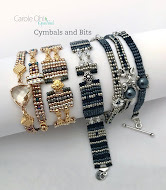 If I was beading for the fun of beading, what difference did it make what I did? I began to relish this little question when it popped into my head. I saw that It gave me the opportunity to open myself, even in just the tiniest of ways. And now I see that as all those tiny little openings add up, the more "what ifs" come into being. It doesn't matter whether the outcome of the 'what if' is pleasant or unpleasant. These are just conditional 'whatever!s" that become a step of learning. The Zentangle® art form has really accentuated this process for me. Their tagline, "Anything is possible, one stroke at a time," says it so perfectly. 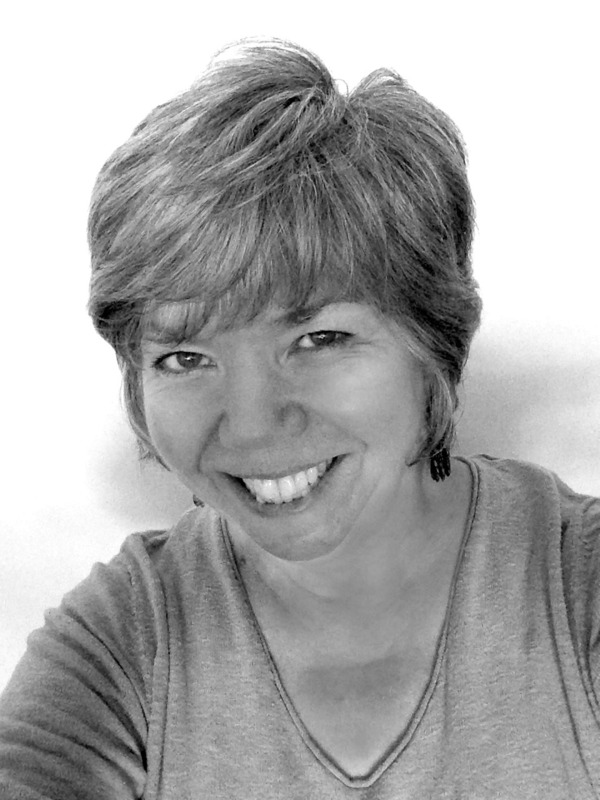 The tangle, Puf, is an example for me about the power of "what ifs." As a new Certified Zentangle Teacher, I set out to "study" the 102 tangles given to us at the Zentangle certification seminar. I methodically went from one tangle to another, trying to reserve any judgement as to whether one would be more fun than another. I had chosen to do four tangles to each Zentangle. I was recording all this in the beautiful journal that we also received at the seminar. So this was to be my special book, my little record of my study in tangles. At one point, the next four tangles to use were just not looking great together. I knew something had to happen with this particular group. "What if?" Uh oh. Not right now, not when I have a PLAN, dammit! Seriously! I am doing things a certain way in my new beautiful book and I don't want to mess it up! "But what if..." and then it happened. I stepped out, in my beautiful new journal. I took the chance to mess up. It was a lot of fun! And Puf was born. And because of what Puf looks like when it begins, and what it looks like when it's finished, it's a clear example of the surprising results when you act on a "what if." Here is a Puf mandala before the last step makes it "puff." This is "Puf" set to the tune of a mandala. The nature of Puf is one of surprise and unpredictability, so it lends itself well to a really free form mandala. On a Zentangle tile, I drew (light pencil) diagonal lines from corner to corner to mark the center. Then I penned circles from the center, and also penned the diagonal lines. Add more diagonal lines to add however many segments you like. Then I tangled Puf into each segment. Once the last step of Puf was complete, I shaded and added sparkles and black for a little depth. Last week a friend told me about Masaru Emoto and his water experiments . I was intrigued by the idea of of water responding to intent. It's not a surprising concept, but the immediate visual impact really amazed me on a deeper level. My friend said he made a label for his water bottle with the word "love" on it. I had just gotten a new thermal cup for everyday use and thought, "why not?" Using a Sharpie oil marker, I went about floating around the cup with some peace and love. Pattern talk is everywhere. Not sure what it all means yet, but I love feeling the swirl of it all around me. Since Zentangle inspired mandalas are so much fun to do, I figured teaching them would be even more fun! Having struggled my way through some mathematical renditions, and moving past my desire for asymmetry, I finally got to the point of being excited to teach an easy way to do a mandala without the stress of fussing with math. I wanted to be really prepared to teach this process in as streamlined a way as I could. So what did I do? In my effort to be thorough, I totally complicated it. I was trying to control the hell out of it so my students would get how to do this. FInally, after a week of putzing around with a "system", and getting to no place that I could get a handle on, I realized something. The thing I was trying to control was the process of letting go and letting it be. OK. duh. That is what the mandala was trying to show me all along. So today was the class, I loaded up my supplies and decided to just allow. I began the class by telling my story of how hard I had worked to get a system of teaching this, but that the mandala itself showed me that there was no way to plan this adventure. I asked them to float with me as we all began together. They made the same marks that I did. It was as if we were all in a carnival funhouse, stepping each step together, with me at the front of the line. This was the fun of the mandala. As with the Zentangle process, "one stroke at a time," not knowing where the next step will lead, we circled our way around our papers and watched as the lines danced out from the center. Just as in the funhouse, even though there may be a leader and a follower, there is still the same sense of surprise and awe when each new step is taken. In our part of the world, this season's weather maps often show us swirling seas, most often in the Gulf of Mexico. We watch and wait and hope that Mother Nature doesn't cause too much of a ruckus. In the "Wabac" times, Hurakan was the Mayan god of wind and storms. I imagine the Mayans hoped that Hurakan (he who hurls below) would show a little kindness, also. Tangle name: Hurakan, of course! I've been playing with mandalas for a couple of months now. 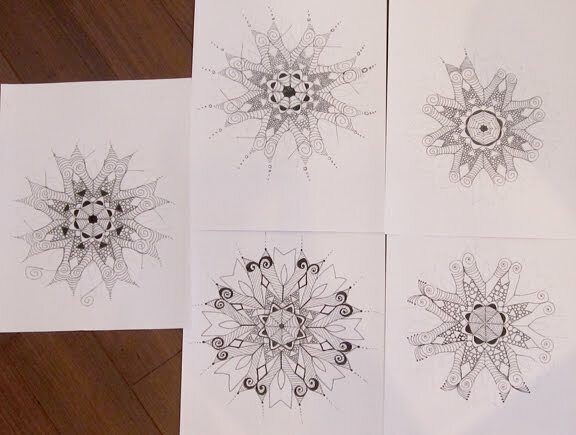 I attribute my fascination with them to my Facebook friend, Jane Snedden Peever, Her pen and ink mandalas are so hypnotic, that I had to try them for myself. She was so open in sharing her experiences with this art form, which also inspired me. Thanks, Jane! From the beginning, I saw how the spirit of Zentangle was present as I repeated my pen marks/tangles all around the center of the circle... spreading out to the edges, engaging in light and dark, thick and thin, round and straight. In looking at most mandala art, the symmetry seems quite planned and exact. I'm imagining that many of them are. But, also keeping in the spirit of Zentangle, I had no plan and I knew NOT where my next new stroke would take me. It's always a surprise from the beginning to the end. I especially enjoy the mandala because there is nothing that tempts me to name anything about it. It is simply a circle of symphonic marks that magically come together no matter what I do. I have to say, I don't know much about the significance of a mandala, spiritually or mathematically speaking. I don't use any math, or measuring (thank you, Verlie Murphy! ), and the marks I use are purely intuitive, and not consciously symbolic for me. I'm almost sure, though, in some mysterious realm, that they might mean a great deal, as things do :) But for today, I will float most deliberately round the circle with my pen marks, my paper twirling like a sufi in the mystery. We were also fortunate to have an opportunity to meet with a few of the Northern Ohio Certified Zentangle Teachers (Carol, Jean and Deb and her husband, Verlin). Saturday night we met for dinner, then moved our conversation to the hotel, as we realized it was nowhere near finished. It was a very connective night and one I will always treasure. It was a real example of how the spirit of Zentangle weaves a string through people and experiences, highlighting and allowing for their differences, yet stringing them all together in a sameness of sorts. And in the process, giving all who see its portential, little wings to fly their own special paths. Its potential lies way beyond the string we lay down on a paper tile. So yummy. As the week progressed, I spent time preparing for the monthly Zentangle Intro class to be held on Friday night at Gallery 510 . We also have a Zentangle Lovers Group that meets to play after the class. We are just getting started with the group, so it's always a surprise to see how many show up. As it turns out, Friday night we had 8 in the class, and another 6 showed up for the group fun. I was even more surprised and delighted that Peg (my CZT buddy in Dayton) and I got to meet another CZT from the Cincinnati/Northern Kentucky area, Christine Hogan. The same connective string appeared in our conversations... we acknowledged that to be directly related to the intent of Zentangle and its creators, Maria Thomas and RIck Roberts . To top it all off, we had two people from Cincinnati attend the class (my cousin and her friend), so it worked out perfectly for them to meet Christine, who is much closer to where they live. I'm hoping they all get a chance to spread their wings together. A great week. I am a lucky girl. I just can't stop connecting "v"s when I find them. There is something very fun about hooking the chevron points together, especially when they don't line up exactly. The line sort of dances back and forth, with each "shard" having its own little personality. My lovely friend and fellow CZT (Certified Zentangle Teacher), Peg Farmer, created this Zentangle® tile. One of her favorite tangles is Rick's Paradox. She added her 'spin' onto Rick's spin for this beautiful combination. Thanks, Peg, for letting us post! Sometimes the littlest thing can make life so much easier! I like the idea of putting the tiles in a plastic floppy drive case. That keeps them nice and tidy. The problem was not with that case, but with the abyss that is my purse. I could never keep the pens from flying around or hiding in the congregation of crumpled up receipts. I was always digging, and then I may or may not get the right pen, since there is a whole congregation of those, too! Wandering around my local office supply, I figured, if the floppy drive case worked, might there be some other new gadget case that I'm not familiar with? And what do you know? How exciting to find this hard drive case that not only fits the tiles, but also fits the pens and pencil in a whole other area away from the tiles! Zip it up to close it and the whole thing fits nicely into the abyss! I am so excited by this that I have to wonder about myself, but what the heck. Life is full of surprises, big and little. A mess of little ones is ok by me. My friend, Sarah, teaches piano in her new home. She loves Zentangle and asked if I would help her do a mural in her new studio. Of course!! It started out that we were to tangle around an upright which was delivered, but then returned when a defect was discovered. The initial tangle idea was scrapped when a new baby grand arrived. It's a beautiful baby and as it turns out, was even more fun to tangle around. Here are some in-progress photos. It will probably be a couple weeks before the final touches and shading is complete. Thanks to Sandy Bartholomew for sharing her expertise on what materials worked for her when she recently did a wall. And thanks to Lois Stokes for the title of this project: "Music to My Eyes". As "inspiration is cross pollination"...aren't we lucky? This is too much fun! Check out our little helper, Rambo (aka Sniglets in my mind), as he basks in the calm of Zentangle.